In the UK we've all heard of Elastoplast. 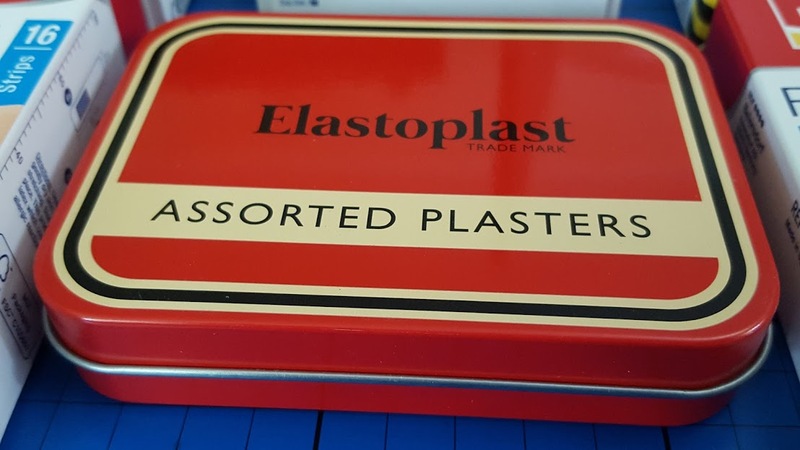 Synonymous with 'sticking plasters', they're a manufacturer we all trust and have always known very well - right from those early days when we fell over and grazed our knees as small children. 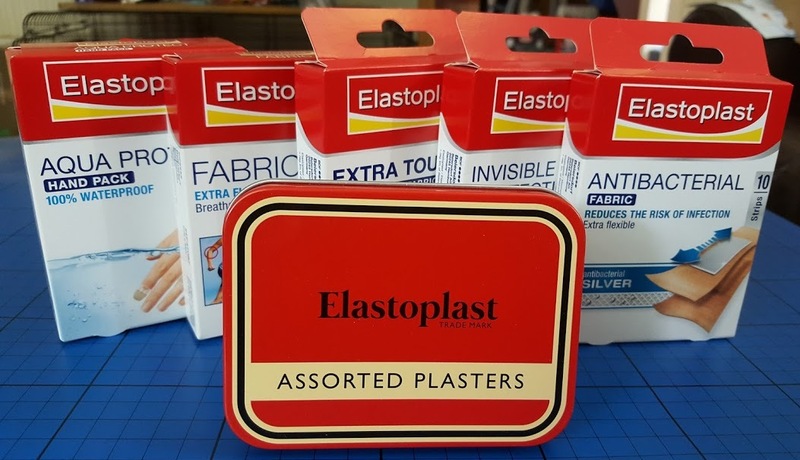 It may well come as a surprise though to find out Elastoplast have been around for long enough that our Great-Great-Grandparents were just as familiar with them too. 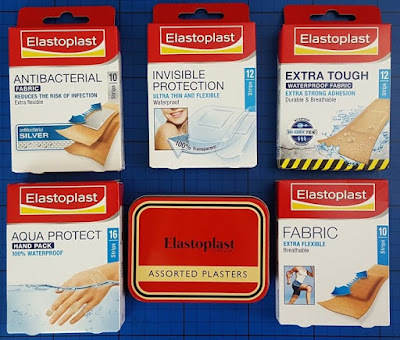 In fact Elastoplast was first founded in 1896, and now sells over 200 different products globally under the brand names Elastoplast, Hansaplast and Curitas. 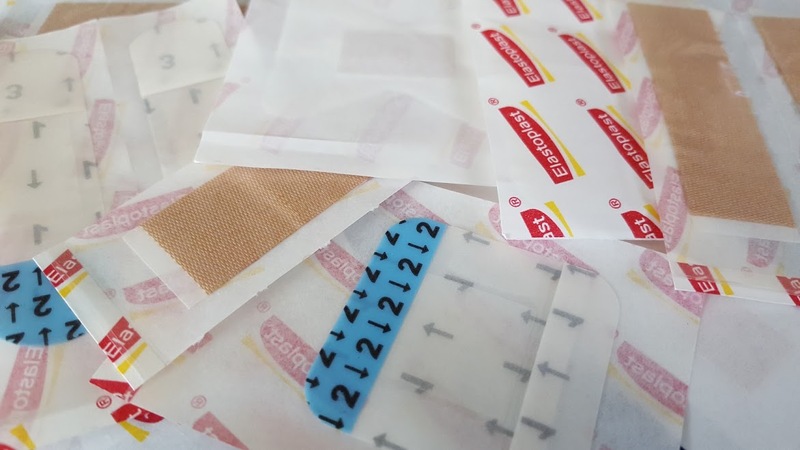 From 'invisible' plasters and those impregnated with silver to help prevent infection, to completely waterproof plasters and butterfly shaped-plasters for the tip of a finger, the range is huge. There is an Elastoplast product for every cut and graze - and the best seller is the Aqua Protect. 100% waterproof, elastic and breathable. I can see why they're most popular - they are what I use, especially if I cut my hand during preparing tea. 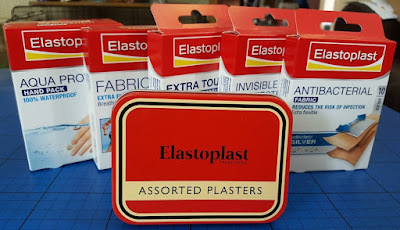 Elastoplast have recently launched a very cool Vintage Tin, which is not only lovely to look at, but deeply practical. It's water tight and really the perfect thing for plasters, so it's lovely they have brought it back. Not just good for sticking plasters though, it will keep those important little bits like lip balm, safety pins and tweezers safe and clean, even in the depths of your bag - and you'll be able to find them straightaway when you need them! To enter the giveaway please use the Gleam form below. All entries are optional and each extra task completed will earn extra entries into the draw. The giveaway will end at midnight on Sunday 18th October. UK entries only. The bundle of plasters might not exactly match those shown in the images. If you need help using Gleam please visit my giveaways page (where you will also find my other giveaways). We were sent our Elastoplast Vintage Tin and plasters for this post. Last time I needed a plaster was when I peeled my thumb rather than the mango I was holding. Love the vintage tin by the way, very cute. Yesterday! I recently took up 'felting' and have stabbed myself a few times with the needle! It hurts! Lat week when I nicked a toe while trying to cut my toe nails! about a week ago - i chopped my finger when chopping an onion! Last week - bit enthusiastic with peeling onions! I had a plaster on yesterday after I cut my toe! About two weeks ago to cover a broken nail, it broke so low down I couldn't cut it and it was agony! Two days ago I needed a plaster for my toe blister. At work last week - cut myself on a paper file! About a month ago, when I cut my hand on some barbed wire. With a particularly vicious paper cut 2 weeks ago! I needed one this morning because my shoes are rubbing! Today! One of our cats got a bit rough when playing and gave me a nasty scratch! Today actually I picked my finger too much and made it bleed! in the summer when I wore shoes that rubbed. Cut my finger picking up my razor. Few years ago, went camping and sliced myself on a can! I last needed 4 plasters in June when we went for a walk along the Anglesey coastal path and shredded my hand on a thorny bush! A few days ago when my youngest scrapped his knee. My partner got a blister on her foot today, needed a plaster for that. Ouch. A while ago when I cut my finger cutting veggies up. Yesterday on a cut on my finger! A few weeks ago when I cut my thumb while chopping veg - ouch! I last used a plaster on my foot after my new sandals caused a blister! Love the tin. Yesterday. I tripped up on a sleeping policeman whilst running! I've got cuts all over my palms. Sigh! Yesterday, I grated my thumb as I was grating cheese - It was so sore! when my daughter fell over last week. I needed several plasters on a day out with the children during the school holidays. Ouch! A few months ago when I had a paper cut on my finger. Must be a few weeks, since i have needed a plaster. Now if you ask the children, they need one at least, once a week for something or another. Our youngest daughter loves plasters. A couple of days ago when I cut my finger on a binder at work. A couple of weeks ago for my granddaughter when she tripped over the step and cut her arm. A couple if weeks ago I cut my finger whilst chopping up some vegetables for my lunch. Today - I stabbed my finger in my upholstery class! Couple of weeks ago when I cut my toe on the edge of the coffee table. Its been months! Hope I haven't jinxed myself now. I needed a couple of plasters this morning for my daughter who's new school shoes are rubbing her heels. A few months ago when I cut my finger ! I sliced my finger on a broken hanging hook a few weeks ago. I was glad it happened to me instead of a child. When I caught the edge of my thumb the other week, one of those places that won't stop bleeding! I haven't needed one for a while but the kids always need them. This morning when my parrot bit me! My partner needs one almost everyday as he is an engineer, but I always forget to buy them!!! My old trainers rubber the back of my ankle & made it bleed so I needed a plaster then. i couple of weeks ago and i didnt have any! My great-nephew trapped his finger in the washing machine door (decided to close it when his finger was in the way). It bled quite badly but he didn't cry for much more than a couple of minutes. Still took him to Casualty for "precautions" but they were shocked at how calm he was. :) (Not quite 2 yet). Gardening. I was cutting back my roses, and a thorn cut my hand. Can't remember the last time I personally needed one, but my older daughter gave herself a nasty cut on the finger a couple of weeks ago. Cut my finger on a knife in the kitchen!